While a substantial number of studies have evaluated the effects of merit aid programs, there is a surprising lack of any systematic consideration of how states determine eligibility criteria for these scholarships. The selectivity of merit aid eligibility criteria can be as important as whether or not such programs are adopted. If, for example, merit aid programs have broad, easily-attained initial eligibility criteria, then a large proportion of high school graduates, including low-income and under-represented students, will gain eligibility. On the other hand, if the criteria are more rigorous, then a smaller proportion of students, likely those already planning to attend and with the means to afford college, will be eligible. 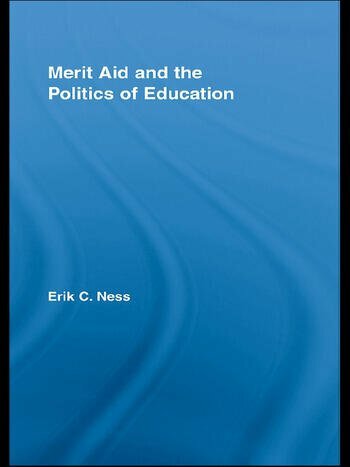 Thus, this innovative book - the first to deepen the descriptive and conceptual understanding of the process by which states determine merit aid scholarship criteria - is crucial to understanding merit aid's success and failures at fulfilling the promise of education. Erik Ness is Assistant Professor in the Department of Administrative and Policy Studies at the University of Pittsburgh.